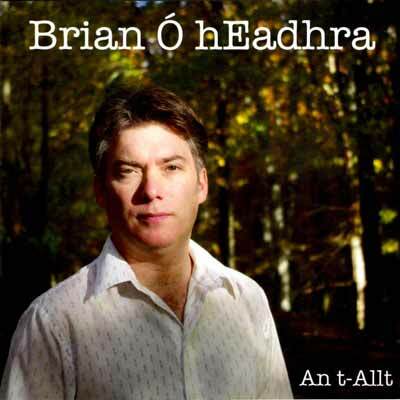 Brian launched his second solo album “An t-Allt” on the Brechin All Records early 2011. 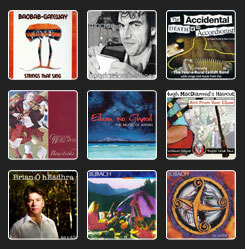 An t-Allt (Scottish Gaelic for ‘burn’ or ‘stream’) consists of songs written by Brian in Scottish Gaelic and English as well as a mixture of traditional and contemporary songs from Scotland and Ireland. 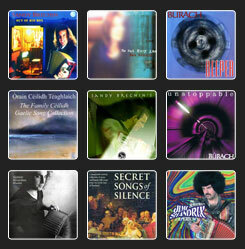 An t-Allt was recorded by Richard Werner (B&B Studios) in Edinburgh in October and November of this year and has some of the country’s finest musicians and singers accompanying Brian including Sandy Brechin (accordion), Chris Agnew (bass), and Fiona Mackenzie (vocals), Pat McGarvey (5 string banjo). As well as Brian’s own compositions, the album has a song by Brian’s wife Fiona Mackenzie, Richard Thompson’s “Dimming of the Day” in Gaelic, two Irish traditional songs translated into Scottish Gaelic, and finally two traditional Scottish Gaelic songs. 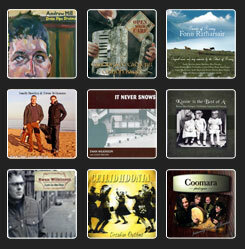 Musicians: Brian Ó hEadhra – vocals, acoustic guitar, harmonica, shruti box, percussion; Sandy Brechin – piano accordion; Fiona Mackenzie – backing vocals; Chris Agnew – double and acoustic fretless bass; Richard Werner – glockenspiel, piano; Louisa Rafferty – piano; Pat McGarvey – banjo. The Complete Songs of Robert Tannahill Vol II The eagerly awaited sequel in the unprecedented five-volume project to record all of Tannahill’s songs, produced by Dr. Fred Freeman and featuring a host of folk luminaries. 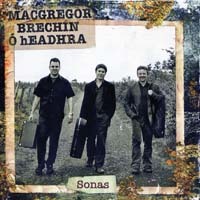 The CD was launched at Celtic Connections 2010 with a concert in the Glasgow Royal Concert Hall. – Find out more. The Complete Songs of Robert Tannahill – Vol III The third and, arguably, the best yet in the unprecedented five-volume project to record all of Tannahill’s songs, produced by Dr. Fred Freeman and featuring a host of folk luminaries, with singers including Rod Paterson, Ian Anderson, Nick Keir, Fiona Hunter, Brian Ó hEadhra and Lucy Pringle. – Find out more.